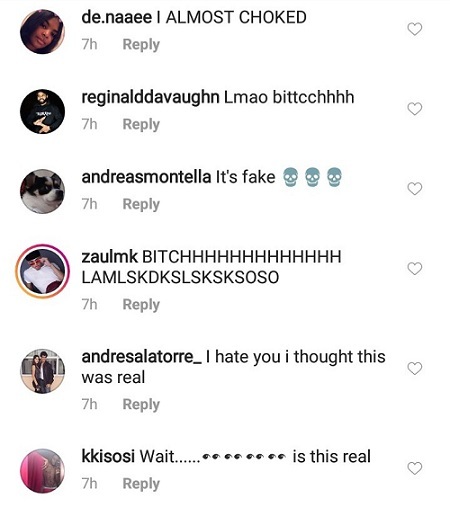 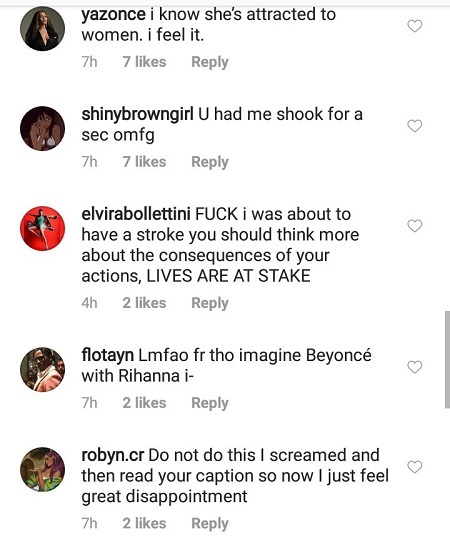 A Beyoncé social media comment (clearly photoshopped) recently surfaced on Instagram. 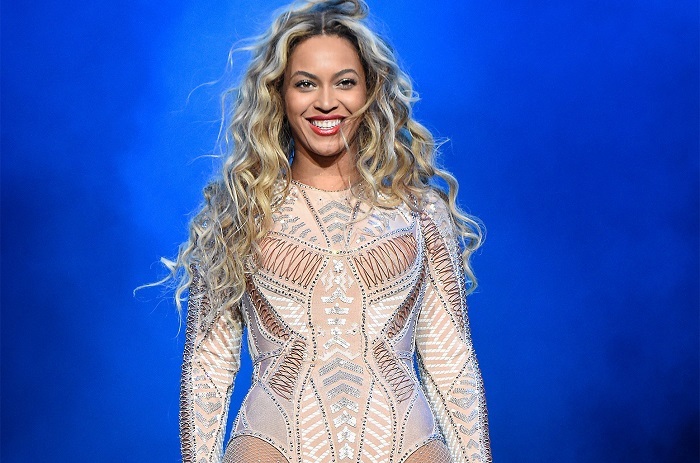 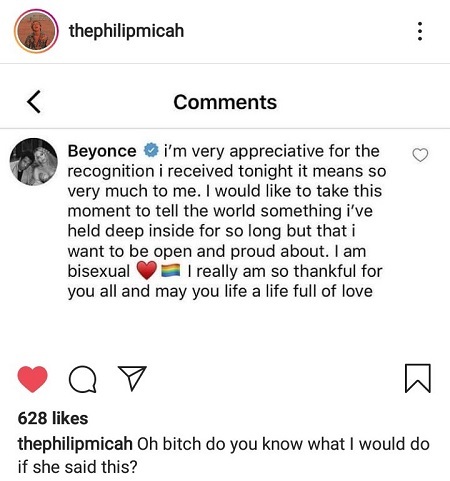 It appeared to be the Queen Bey’s response of appreciation for the recognition GLAAD gave her when she and her husband Jay Z were given the Vanguard Award at the 30th annual GLAAD Media Awards which was held on Thursday, March 28. 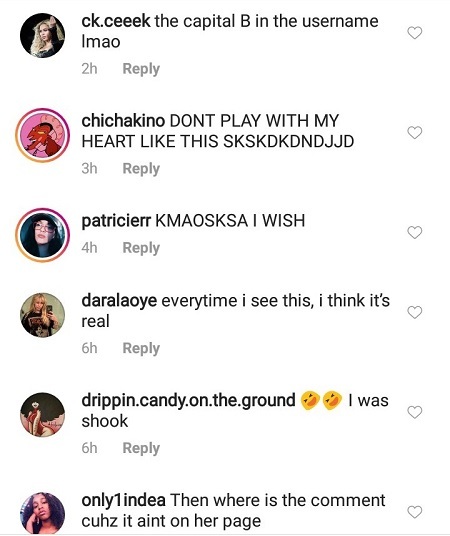 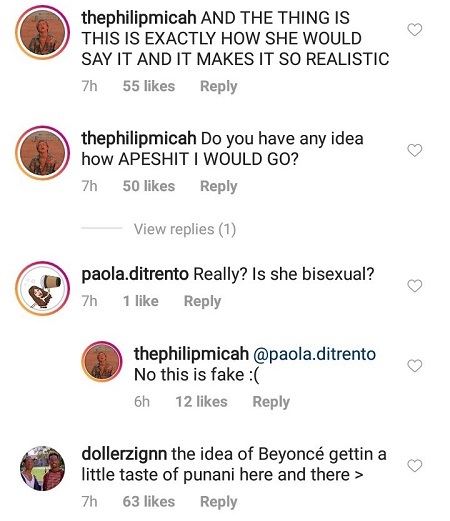 The post was made on the instagram account of Beyoncé superfan, @thephilipmicah, and the commenters expressed reactions that are just so precious. 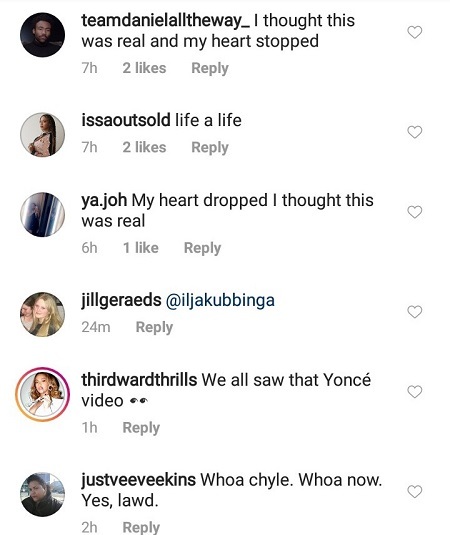 Check on them. 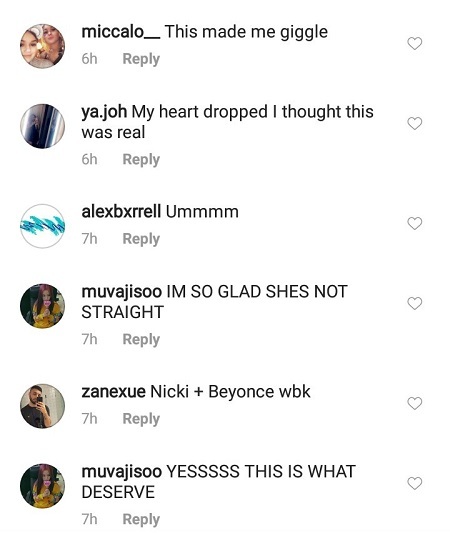 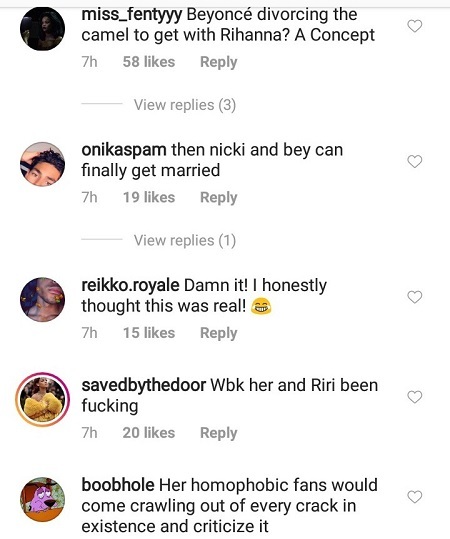 This post makes me wonder: if Beyoncé were to come out as someone who likes girls too, how do you imagine that will impact the LGBT movement in the world? 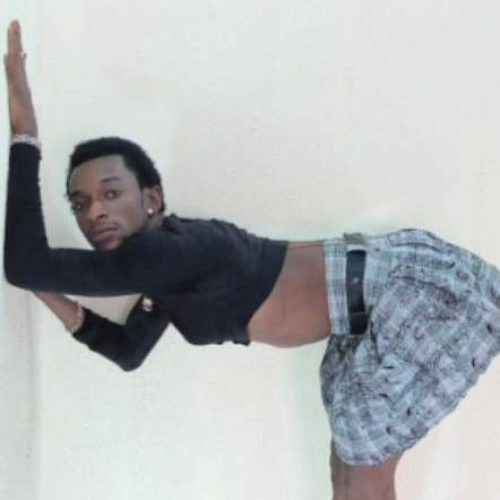 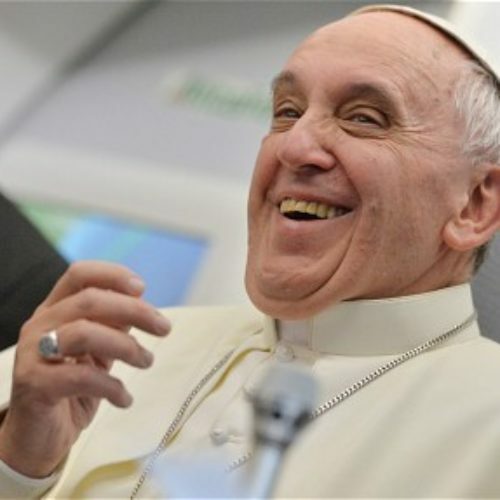 She won’t have made as much spelling errors in her tweet though.